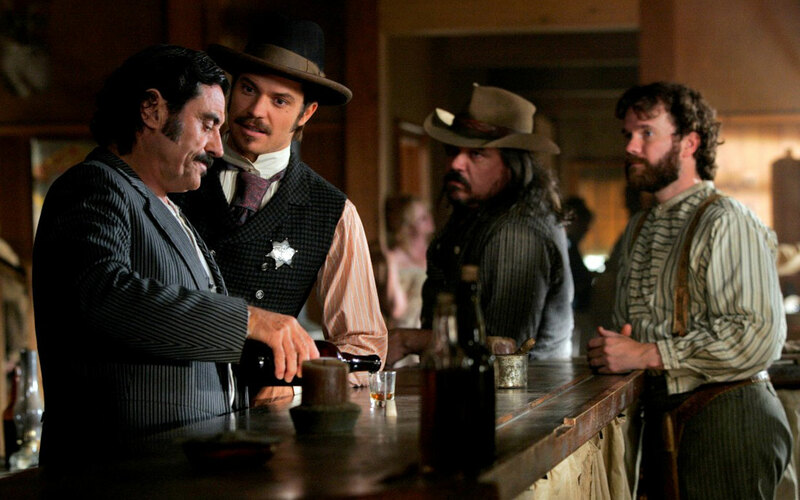 HOLLYWOOD – It’s the news Deadwood fans have been waiting for: Deadwood: the Motion Picture is going to happen. The cult HBO Western Deadwood about the inhabitants of the eponymous frontier town first aired in 2004 and set new standards for swearing on television. Cancelled due to a combination that people only watched it on DVD and the expenses of building a town, news of a movie has been tantalizingly spare, and many had given up hope. Timothy Olyphant (star of Justified) said no way; David Milch, the show’s creator, said nix nix, Ian McShane who played the unquotable Al Swearengen said you’ve got to f*cking be kidding me. All in fact, except the Studio Exec who yesterday managed to get Richard Plepler the current CEO of HBO in a headlock. It was an intimate function and security backed off imagining that I was performing the Heimlich maneuver. ‘What’s this about?’ gasped Richard. ‘What the…?’ I told him I was a desperate man. I had to know what happened. You can’t just leave me hanging like that. Years! Nothing resolved. It’d be like Schubert not finishing a symphony or something. There was a lot of spluttering, some sobbing and lots of pleading, but finally I let him go. Deadwood: The Motion Picture will begin filming once I send Richard the location of his favorite dog.